Home / Retirement / 401k & Investing Tips / Will MSFT’s Partnership With Kroger Drive Microsoft Stock Higher? On Jan. 7, Kroger (NYSE:KR) and Microsoft (NASDAQ:MSFT) announced a partnership to build the grocery stores of the future. “Together, we will redefine the shopping experience for millions of customers at both Kroger and other retailers around the world, setting a new standard for innovation in the industry,” said Microsoft CEO Satya Nadella. Microsoft stock closed at $102.06 that day, up 0.41%; KR stock gained 27 cents (0.97%), closing at $27.92. Two high-tech stores will open. 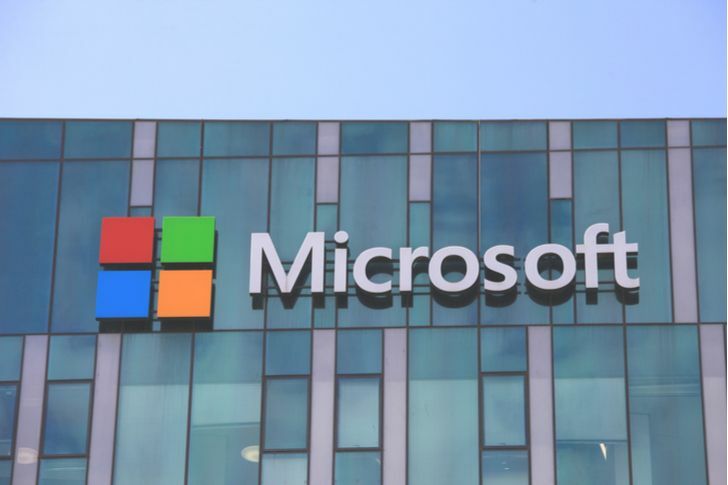 One will open in Redmond, Washington, near Microsoft’s headquarters. The other will be in Monroe, Ohio, near Kroger’s hometown of Cincinnati. These stores will be equipped with digital shelving technology, personalized ads, video analytics and other technologies. Some of these technologies will be displayed on Jan. 13 at “NRF 2019: Retail’s Big Show”, a trade show hosted by the National Retail Federation. The deal should boost Kroger and Microsoft stock by enabling both companies to compete against Amazon (NASDAQ:AMZN). This is true as upgrading its technology will make Kroger more competitive against Amazon. Amazon has the grocery sector in its crosshairs, buying Whole Foods in 2017. Amazon opened its high-tech, automated grocery store, Amazon Go, to the public last year. Bloomberg reported in September that Amazon was considering opening 3,000 such stores by 2021. This could mean trouble for existing grocers such as KR. Kroger could also earn additional revenue from licensing out this technology to other grocery chains. The technology will be powered by MSFT’s Azure (its cloud computing service). Microsoft Azure currently ranks second place in infrastructure-as-a-service (IaaS) cloud computing revenue. Azure is behind Amazon Web Services (AWS), and needs more revenue to catch up. Increased cloud computing revenue will boost Microsoft stock. Retailers like Kroger are worried about competition from Amazon. They’ve seen what the e-commerce company has done to brick-and-mortar stores like Borders and Circuit City. Now, with next-generation Amazon Go technology, Amazon is threatening grocery stores. Kroger and other grocery stores will have to respond. With Amazon Go, shoppers do not take out cash or swipe a card when they check out. There is no checkout; you don’t even need to wait in line. You only take your phone out once, to scan a QR code to identify yourself; this allows you to enter the store. Video cameras and sensors keep track of what you put in your bag. The cost is deducted from your Amazon account and you can just walk out. Shoppers don’t like waiting in line, and this gives Amazon Go an edge over other grocery stores like Kroger. Amazon will also save money, since it won’t need to pay cashiers. To compete against Amazon Go, Kroger will need to adopt similar technology. Kroger could also earn money by selling advertising space on its new digital shelves. Additionally, KR plans to license out this technology, which it calls “retail as a service”, to other grocery stores. This could bring in additional revenue, which would boost KR stock. Like Kroger, MSFT is also competing against Amazon, but in a different industry: cloud computing. According to Gartner, Amazon accounted for 51.8% of global IaaS cloud computing revenue in 2017. Microsoft was second place, with a 13.3% market share. However, Amazon’s status as a retailer could discourage other stores from doing business with Amazon Web Services. This presents an opportunity for MSFT, as more cloud computing business could boost Microsoft stock. Kroger’s chief information officer told CNBC in 2017 that the company would be avoiding AWS “for obvious reasons.” Kroger doesn’t want to fund a potential competitor. Instead, Kroger went with Amazon’s rivals, MSFT and Alphabet (NASDAQ:GOOG, NASDAQ:GOOGL). Kroger isn’t the only retailer shunning Amazon Web Services. Walmart (NYSE:WMT) told technology companies it works with to stop using AWS in 2017. Microsoft stock will benefit from this deal since KR’s technology is built on MSFT Azure. And if Kroger can sell this to other grocery stores, MSFT will earn additional revenue. Article printed from InvestorPlace Media, https://investorplace.com/2019/01/msft-partnership-kroger-kr-drive-microsoft-stock-higher/.